“Made in Italy” represents high quality lifestyle. There are about 70,000 enterprises and 650,000 employees in the Italian fashion industry. 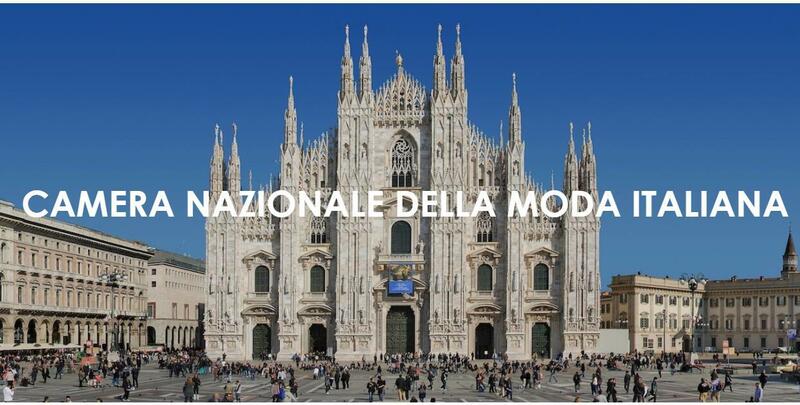 As the official organizer of Milan Fashion Week, Camera Nazionale della Moda Italiana (CNMI, The National Chamber for Italian Fashion) has been working to discipline, co-ordinate and promote the development of Italian Fashion in Italy and around the world. Head of Fashion of Luxe.Co, Elisa Wang had exclusive interview with Mr. Carlo Capasa, Chairman of CNMI recently. Mr. Capasa shared his insights on the development of Chinese and Italian fashion industries, particularly in the communication between Italian fashion industry and Chinese capital and enterprises. The “Camera Sindacale della Moda Italiana”, was set up on 11th June, 1958, which was the forerunner of the body which subsequently became the “Camera Nazionale della Moda Italiana”. CNMI has more than one hundred enterprise members, covering all the best brands in Italy in haute couture, textile, accessories, leatherwear, shoes, and services, including international well-known luxury brands, such as Bulgari, Fendi, Prada, Salvatore Ferragamo, Giorgio Armani and Gucci. In addition to world-renowned brands, the Italian fashion industry also has a lot of traditional small and medium-sized enterprises. Many enterprises have less than 10 employees. Due to the scale of these SMEs, it is difficult for them to enter the China market by independently. Luxe.Co: You have been to China for a few times. What’s your experience this time? Capasa: I want to understand more of the country, the people and the market here. I want to understand more of the new generation, because they are the future of China and the world. I also want to see what is happening in fashion here, together with new brands, new energy and the fashion evolution here. I want to create connection and network. China and Italy must be very connected. Italy is the expert in high-end fashion production, in terms of quality and price. China is more in light luxury, also with good quality. Together these two countries are representing the whole fashion world in terms of production. We are complementary. We should be alliance, work together and share our visions and markets. This is the sixth time that I visited China. I have witnessed the evolution of the China fashion industry. I am happy to see that Shanghai and Shanghai Fashion Week have improved a lot each time. In the future, CNMI wishes to increase our relationship with Chinese media and consumers, and to have CNMI more presented in China. We can bring the exhibition “Italiana” to China and let Chinese consumers understand the history of Italian Fashion. We wish to bring more new and young Italian brands to China and communicate with Chinese Market. 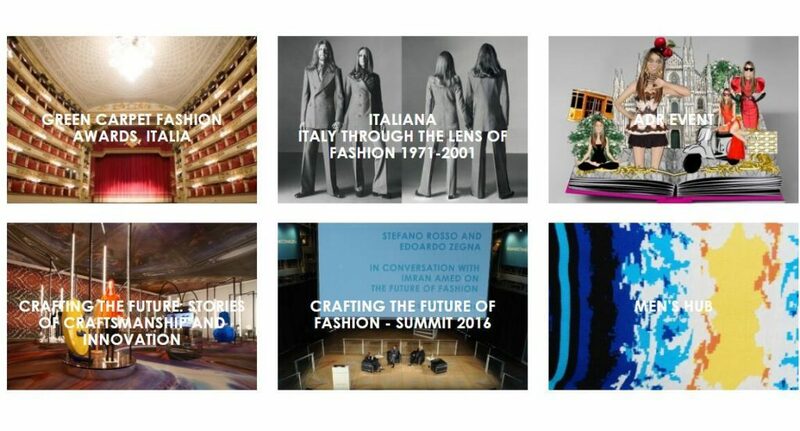 Luxe.Co: For Milan Fashion Week, is there any changes or innovation? Capasa: Italian Fashion Week was initiated in Florence as a fair and continued in Milan for fashion designers. For Milan Fashion Week, the four events of menswear and womenswear every year are very important for us. For menswear, we have logistics arrangement between Pitti Uomo and Milan Fashion Week. Because I consider Florence and Milan, and Pitti Uomo and Milan Fashion Week as a whole. When you put Florence and Milan together, we are the strongest men’s fashion week in the world. In addition to fashion, Milan Fashion Week also showcases high-quality Italian lifestyle. We had an exhibition “Italiana: Narrating Italian History through Fashion 1971-2001”, narrating where Italian fashion came from and where we are going to in the future. It is to help the new generation to understand our roots, from where we develop something stronger for the future. It is also to increase the culture of fashion for consumers. Luxe.Co: In addition to Milan Fashion Week, what other areas does CNMI focus on? Capasa: Besides of fashion weeks, we also focus on three main pillars. The first one is sustainability. We have made a lot of efforts building guidelines and standards for sustainability for the Italian fashion industry. We had an international roundtable in Italy this March. All of the most important brands in the world discussed with us on the guidelines of sustainability. Most of the brands will apply the guidelines as they are produced in Italy. We will have the second edition of Green Carpet Talent Awards in September, to recognize brands’ efforts in fashion sustainability. The event was very successful last year and was quoted by magazines as “the most glamourous event made in fashion”. This year we will, again, celebrate sustainability with all brands, designers and important guests around the world. Besides fashion week, we also give supports to young designers, for example to organize fashion market and to provide free space for them, in order to help promote them and increase their visibility to grow business. The second pillar is technology and digitalization. The third pillar is education and promoting new brands and designers. CNMI’s plan is to increase sustainability and education to the new generation. By connecting education and the industry, we aim to educate and promote Italian artisan handcraftsmanship, to make sure the new generation to fall in love with the way of Italian handcraftsmanship for generations. The Green Carpet Fashion Awards in September will feature handprint, to emphasize the importance of hands in our fashion business. Luxe.Co: Many outstanding Chinese designers have joined Milan Fashion Week, including Uma Wang（王汁）, ANNAKIKI（杨子）, ANGEL CHEN（陈安琪）, RICOSTRU（欧敏捷）and so on. What is the process to join Milan Fashion Week? What resources are provided? Capasa: We are always very open to new designers. But they need to be very interesting, modern, with strong style and able to talk to the future. We like creative designers. We welcome interesting designers to send us their design materials. We have a selection committee to evaluate for Milan Fashion Week. During fashion week, in addition to fashion shows, we have many opportunities to increase visibility for brands, for example, exhibitions and fashion market for new designers. We also have some specific programs, for international brands. Fashion lab is one of them, which is an incubator for fashion brands. It is a one-year project to help brands in their production, distribution, communication, finance and organization. After one year, we can also help them find investors, who may take minority stake for 3 to 5 years to help those brands growing. The participating brands need to be international and have at least one part of the business in Italy, for example, production, distribution and etc. Luxe.Co: Do you have any recommendations for those commercial brands who want to join Milan Fashion Week? Capasa: For those commercial brands who want to become international, I don’t think they need to do fashion shows. We prefer to host creative designers for fashion shows. Commercial brands can have exhibitions or through other channels or shops. Milan Fashion Week is international. We hope that those commercial brands in Milan Fashion Week are not just for the “Milan” print. The key is that they want to grow from Italy and become real international brands. Luxe.Co: Does Italian fashion industry welcome Chinese capital? Capasa: For Chinese capital, the mentality of people has changed a lot in Italy today. Money is more international. The problem is not about where the money comes from. There are two main concerns. One is that whether Chinese companies truly understand what the target brand stands for. The second concern is that Chinese money may change minds easily and fast, and people are afraid of stability and commitment. In the past, there were some Chinese investors who left when the brand entering into difficult times or situations. American and European investors are relatively stable and will commit for 5 to 7 years. Stable operation in the medium to long run is easier to succeed. Luxe.Co: For Chinese investment in the Italian fashion industry, do you have any recommendations? Capasa: For fashion investment in Italian factories and brands, I recommend investors to understand Italian system well, which is very different from Chinese system. Fashion is a good business in Italy. Italian production is a combination of artisan and industrial process. The industry is not big or heavy. Instead, we have a small and flexible industry, with specific specialty. Investors need to have connections in all areas. If they want to do thing properly, they have to have good staff to understand the target company, the business and the system. Investors need to pay attention to the people and management structure of target companies. It is easy if the brand already has good management structure and is just lack of capital. I think investors should focus on good brand image and heritage, as well as the management organization. If some factors are missing, investors have to make sure they can bring in these factors. Otherwise they cannot succeed. Luxe.Co: What’s CNMI’s approach promoting Italian brands to the world? Capasa: There are many ways to interpret Italian brands. CNMI promotes many brands. Some may not be Italian property but with an Italian soul, for example Gucci. The important thing is not the ownership, but the heritage of the brand. Foreign brands with part of their business within the Italian system, for example with majority production in Italy or with strong Italian distribution, are all considered Italian brands for us. Luxe.Co: Many traditional channel brands in China are facing challenging and going through transformation. They are in needs of outstanding international professionals and talents in design and marketing. Regarding to these needs, is there any collaboration opportunities between Italy and China? Capasa: There are many Italian professionals and talents in the fashion industry in Europe and America. The CEOs of Dior and Burberry are Italian. Chinese companies should attract more Italian talents as well, who will help the industry progress. When Italian brands, especially small and medium brands, come to China, they do not know how to find good partners and they do not understand the market. It is the same for Chinese companies in international market. They may find the wrong Italian collaboration and will not trust anymore. If Chinese companies are serious and committed to attracting Italian talents, we have 256 brand members in CNMI and excellent resources. We are happy to help create some transparent alliance for both parties to understand the needs of each other, and build a bridge or channel between Italian talents / partners and Chinese companies. Fashion has no nation boundaries. Fashion need talents and people need to be open. Italian companies are full of people from everywhere in the world. With talents, good attitude, and high professionalism, the China fashion industry will become even better and more and more international. NEXT POST Next post: Dialogue with Ms. Jeacy Yan, Partner of IDG Capital: How do investors capture global fashion innovation opportunities?